Heavenly Care Moving, the Official Moving Company for the 2018 3M Half Marathon, will help with gear bag logistics and transportation on race day. High Five Events, one of the largest privately owned event production companies in the United States, is proud to have Heavenly Care Moving join the 2018 3M Half Marathon as the Official Moving Company. The locally owned, family business will sponsor the gear bag area, provide trucks and drivers for gear bag transportation, and have volunteers available to handle all gear bags. “With 26 years here in Austin, and having run it several times myself, I’m thrilled to be a part of the 3M Half Marathon as a sponsor this year,” said Scott Kandel, owner of Heavenly Care Moving. 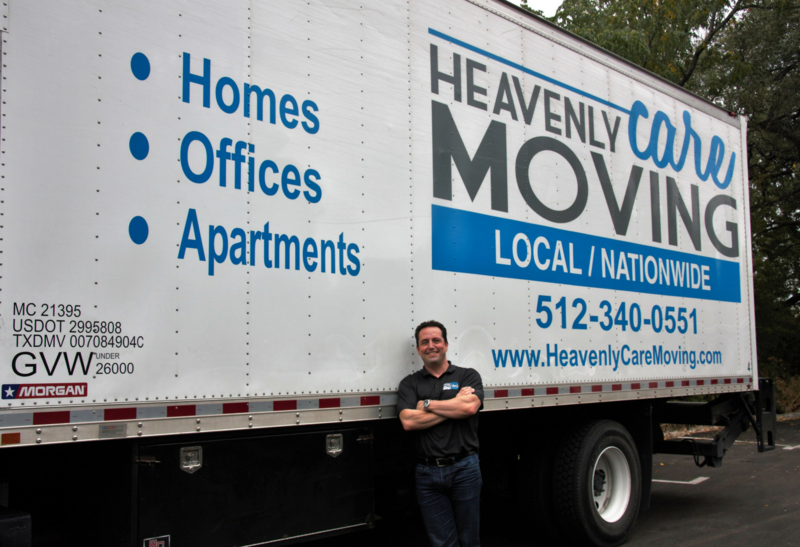 Founded in Austin in 2004, Heavenly Care Moving is a local and nationwide moving company also offering storage, packing, office, and senior citizen specialization. A combined 85 years of service history on their management team ensures that high-quality service remains the focus and that their customer’s experience is a great one. All of these traits will transition to race day perfectly, ensuring smooth and seamless gear bag collection and transportation for the runners. Heavenly Care Moving will also have a presence at the expo and several employees will participate in the 3M Half Marathon. Visit their Facebook page to learn more.